Are you an aspiring writer? Now’s your chance to be published. 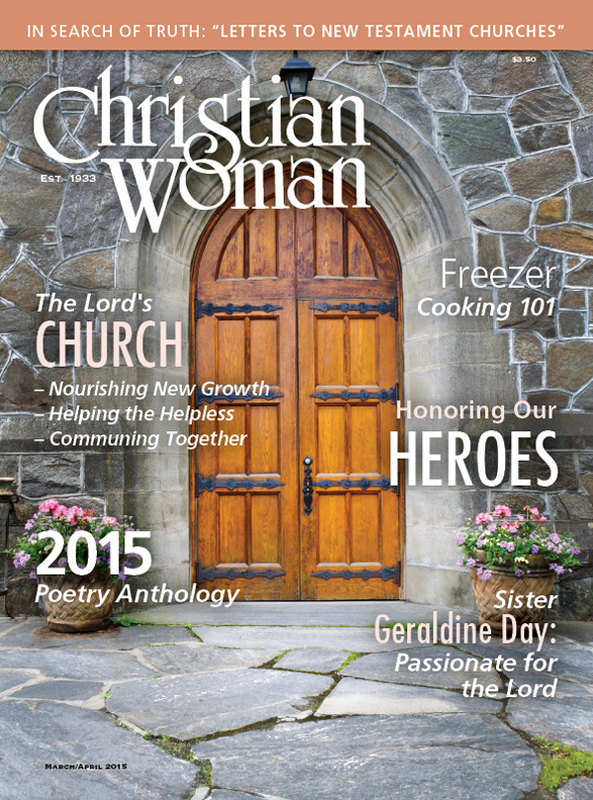 Christian Woman is giving you an opportunity to share your poems, anecdotes and short stories with our readers. • Do You Know a Modern-day “Virtuous Woman”? 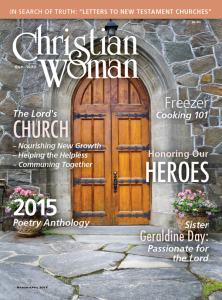 Every May/June issue of CW since 2001 has included a feature called “Honor to Whom Honor” in which readers pay tribute to a woman who has made a lasting impression through her example of kindness, industry and virtue. This year the column will run in the July/August issue, which has the theme “Strength and Honor Are Her Clothing,” taken from Proverbs 31. We invite your submissions of 200 words or less along with a clear headshot of the honoree. Submissions must be received no later than May 1. Those who submit a tribute will be entered into a drawing for a $25 gift certificate from the Gospel Advocate Co. Bookstore. • Do you have the cutest, smartest kids or grandkids in the world? Send us their funny insights by June 15 to be included in our annual “All Kneecaps Look Alike” feature. • Are you a good story teller? Have you always wanted to try your hand at creative writing? Now’s your chance. CW features a short story in our “Fiction” column in every issue. Send yours in today. If you would like to know more about any of these features, email your questions to CW@gospeladvocate.com or visit the CW page or click here to download our Writer’s Guidelines.